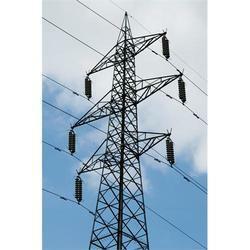 Manufacturer of a wide range of products which include transmission line tower and transmission towers. We offer Transmission Line Tower. Delivery Time: depends on project size. Packaging Details: 1. Material dispatched from VTPL is Bundled as per Export Bundling Procedure, ensuring packaging to withhold bundles even during transit and handling of material. Further this prevents formation of White Rust on material due to long period of storage. 2. Material is colour coded as per structure incl. Identification mark on top of every bundle to improve identification & traceability. 3. Material dispatched is complete as per Packing List 4. The Inspection Report and other Documents as per DI will be send along with Invoice. 5. Along with or Immediately after the Vehicle is dispatched we are deputing our dispatch personnel for H/o over of Material. 6. As Built Drawings / Proto Corrected Drawings will be send to you along with the Vehicle or with our H/over Personnel 7. H/over Executive¿¿¿s responsibility is only for verification & count of material as per Packing List, under no circumstances is he responsible for unloading of the material from the truck and / or stacking of material at your site. 8. The Person Hand Over¿¿¿s the material to your Site deputed person and drafts H/over Report & MOM on the basis of individual packing lists 9. Any shortages in material will be jointly identified and noted. 10. These identified shortages will be closed by VTPL free of cost to the client. 11. Any other shortages after completion of Handing over & Closure of Shortages (as per Sr. No. 7 & 8) above will be supplied but on chargeable basis to the client. 12. For completion of the structure we will send you a matrix of supplies ¿¿¿ Structure wise / Site Wise 13. We will also send you a dispatch completion certificate on completion of DI installation on site. We are a trustyworthy organization offering a wide a gamut of Transmission Towers. Looking for Transmission Line Towers ?